It was not easy for Delhi resident Jagtej Singh. In his seventies, Singh was suffering from dementia and was unable to process speech or be self-reliant. However, he was cured after undergoing a stem cell therapy, a video shared by Advancells, a Delhi-based stem cell therapy centre, revealed. Like Singh, people across the country have visited several stem cell centres to get cured of diabetes, autism, spinal injuries, and Parkinson’s disease, just to name a few conditions. 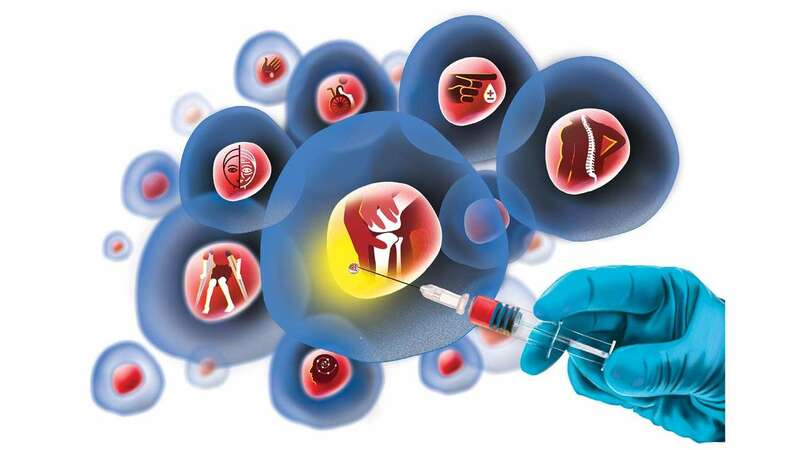 Speaking to DNA, Vipul Jain, CEO of Advancells, said that the technology behind stem cell therapy involves aspirating the cells from either the embryo or adult tissue and growing them in a way that they can replace, repair or rejuvenate the target organ. “We can use undifferentiated cells, which we hope will convert into the targeted cells once they reach that environment. As technology will evolve, we can hope to convert primary cells to differentiated organ specific cells before we implant them in the body, thus producing better results,” he said. However, many of these treatments administered are neurological treatments. According to the 2017 stem cell guidelines, written by the Indian Council of Medical Research (ICMR), any stem cell use in patients, other than that for hematopoietic stem cell reconstitution for approved indications, is investigational at present. “Accordingly, any stem cell use in patients must only be done within the purview of an approved and monitored clinical trial with the intent to advance science and medicine, and not offering it as therapy. In accordance with this stringent definition, every use of stem cells in patients outside an approved clinical trial is unethical and shall be considered as malpractice,” the guidelines state. There have been debates over the use of stem cells in treating conditions such as dementia and autism in the past decade, which took a whole new turn last month when the Ministry of Health came out with a proposed amendment, stating that minimally manipulated autologous stem cells will be out of the purview of the Drugs and Cosmetics Act. “All cultured stem cells, which are more than minimally manipulated, will follow the stringent rules of drugs and cosmetic law,” the Ministry stated. However, the last date for giving any suggestions on this amendment was May 19. Since then, ICMR has stated that it will have a look at the amendments and in due course take the necessary call of action. Dr BS Rajput, Founder and Vice President of Stem Cell Society of India, too, has welcomed the Centre’s move. “Regulation is a must, as is the doctor’s skill. It’s a sensitive procedure and therefore, can’t afford to make any blunders,” he said. Dr Rajput was critical of those who weren’t advocating the therapy in India. “We have patients coming from all around the world to India as part of medical tourism. People have given us testimonials about how well they have recovered after therapy,” he said, adding that it added to the Make in India and Skill India programmes. While addressing the debate over autism, Dr Rajput said that it is a foolproof therapy, but cautioned that of the 25 patients he had treated in the past 10 years, there was an 80 per cent rate of significant improvement. “For the remaining 20 per cent, there wasn’t any deterioration,” he added. Dr Jyoti Vora, a Mumbai-based biochemist and nutritional consultant, told DNA that while stem cell therapy will be an integral part of medical research in the days to come, there is a strict need in its regulation and administration. “Today, the desperation of a patient means that certain parties can manipulate them. Patients should know their rights if they are undergoing stem cell therapy. Since stem cell therapy is projected as holistic and signature, patients need to divulge clinical history, dietary categorisation, lifestyle details, including anthropometric details and addictions (if any),” she explained. “Proper patient counselling and contraindications are significant inclusions in the Practitioner-Patient interaction,” she added. Dr Vora added that there are 200 different types of cells in the human body. “We have cells such as liver cells that can fully regenerate in six months to neurons that do not reproduce,” she said. On April 29 this year, a Washington Post article showcased how a number of stem cell centres, which were not approved by Food and Drug Administration (USFDA), faced lawsuits because of the adverse effects of the treatment on certain patients. Citing the example of Doris Taylor, who had cells taken from her belly and injected into her eyes, only for her to lose her eyesight, the article stressed on the importance of regularisation of such centres and the necessary treatment. While explaining that case, Dr Vora said that retinal cells are different from the other cells in the body. “We’re in a place where people are advertising about stem cell therapy as if it’s the final cure. However, people have the right to know about the cons as well,” she asserted. Rohan Kamat, CEO, Viravecs Labs, a Bengaluru-based company that focuses on gene therapy, said that the United States was able to mushroom such centres, primarily because people there were more ‘desperate for stem cell therapy’. “In India, that level of desperation is not there, mainly because of the affordability factor. One in 1,000 or more can probably afford the treatment, so there is no desperate demand,” he said. Kamat also added that unlike the United States, India doesn’t have the fast-paced science to conduct such research. “Human experimentation is still a topic researchers do not venture into,” he explained. Citing the Indian Council of Medical Research’s (ICMR) 2017 Stem Cell guidelines, he also explained that the government has introduced strict guidelines while carrying out stem cell research. “There are two ways to conduct such research. First is removing the cells and genetically altering them. This is the riskier factor that is still in research phase,” he adds. The second method, Kamat said, is similar to a bone marrow transplant. “This method was used to treat spinal injuries in a hospital in Mumbai but still under the aegis of clinical trials and not an approved therapy. However, a private centre opened up later in Navi Mumbai where similar procedures were carried out even when they were not approved by the governing bodies. There were loopholes in the earlier guidelines that helped the concerned centre to carry on with such therapies without complete approvals,” he added. Kamat believes that clinical application of stem cells will take time in India due to stringent guidelines by the government and it is appropriate to make sure that therapies are safe. Dr Nikhil Datar, a Mumbai-based gynaecologist, who collects stem cells from the umbilical cord, further added that the current practice of stem cell research in India, especially in clinical trials, is primitive. “In an ideal situation, stem cells that are collected in banks should be available to one and all. However, today’s practice means that the person who donates his/her stem cells, hopes that those cells will be available to him/her in a decade. The way it is monetised today does very little for the cost- benefit ratio,” he said. Dr Deepak Chaturvedi, President of Being Doctors, has been a critic for the way stem cell treatment has been marketed in India. “Currently, there is no law, which is why these centres have made use of the loopholes in the ICMR guidelines for stem cell therapy,” he explained. While addressing the health ministry’s call to amend the guidelines so that minimal manipulation takes place while doing stem cell therapy for treatments other than approved haematic therapies, he said that there are guidelines available in India, but nothing is law. “Several centres have taken advantages of this and have said that they can cure conditions such as diabetes, mental retardation and autism. Sometimes, the treatment may not work in the patient’s favour, which means the centres are putting the patient’s life at risk,” he said. Dr Chaturvedi also said that while the treatment is still questionable, clinical trials are necessary and that needs prior approval. “We are currently in a phase where desperate patients are getting exploited of lakhs of rupees because of these loopholes,” he added. Dr Chaturvedi, however, believes that the treatment, if properly regulated will be a blessing in future. “Theoretically, stem cells carry huge potential to be the futuristic medicine. The bigger fact is that we know stem cells can work. Its real mechanism of action, pharmacodynamics, clinical implications and most importantly adverse effects must be researched before offering this treatment to patients,” he added. Dr Chaturvedi alleges that several centres, in the name of curing people, add many medicines along with ‘so-called’ stem cells while infusing the patient. “These include hormones, anti-inflammatories, antioxidants, relaxants, growth factors etc. Patient feels that the improvement is because of stem cells. They don’t realize that even theoretically, stem cells can’t offer instant improvements,” he added.